Sep 05, 2016 Hi Kerim, Our service support team is dedicated to making sure every LeafFilter gutter guard has been properly installed to deliver optimal results. Please contact us at 800-749-4566 so that a service technician can come out to your home and resolve your issue. 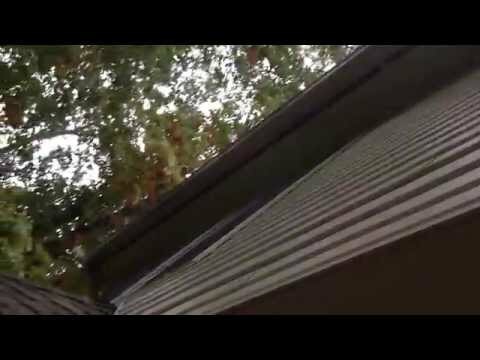 When I had bought the house a couple months ago I noticed that water was overshooting the gutters. At that time Gutter Helmet was already on the house. I had put in a request into HomeAdvisor.com looking for contractors to fix the issues we were having. I was quickly contacted by LeafFilter. Even though we were not interested in another leaf guard type of product, we listened to what they had to say. The sales person took measurements and went over his sales spiel. After an hour, I had to interrupt and just say that I wasn't really interested(he was indicating that it would cost around $6K) in a product that wouldn't fix the issues we were having. He then reassured me that it would. He also was trying to sell the idea of how great this micromesh technology is. Even though later on I found out they used different mesh in certain areas. 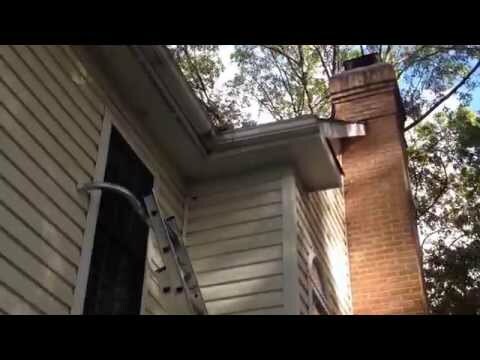 He stated they also would remove the Gutter Helmet system, clean the gutters and fix any gutter alignment and leaking issues(You can see the contract at the end of the video). I had a quote for essentially the same thing without the LeafFilter system from another contractor for around $300. So after some negotiation, I was able to get that and the filters for a bit under $1000. At that point it seemed reasonable. During the sales pitch he kept explaining how they use their own employees for installation and it’s all about the quality of the installation. I actually think the crew that came out were subcontractors... Anyway they came out a couple days later. Unfortunately, I was at work so I had to rely on my wife to keep tabs on the installation. When they were done I told her to check to make sure it looked OK. She did not notice the gutter still hanging the wrong direction and of course couldn't see the areas where the Gutter Helmet came off. The installer did not mention any problems elsewhere. So she went ahead and paid them for the supposed completed job. They did not leave any card or contact information. When I got home that evening, I immediately saw the dent to the gutter above near the garage area. I forgot to mention that I asked the installer to replace some of the rotten fascia. This was one of those areas that they did that. This dent is only cosmetic and should not affect the function and the fascia install looked fine. It was then I saw the rear of the house and the pitch of the gutter did not look correct. I thought it may be the angle that I am looking at it. The next couple of days it rained and I thought I would take a peak at how the LeafFilter was working. To my surprise, what I saw was worse than before this product was installed. In the front of the house, there was now water coming between the gutter and fascia. In the rear water was leaking from the end of the gutter(the one that was pitched wrong) and the corner piece. In addition I was now seeing water dripping through the soffit vents all around the house. I can only think that it is coming through the shingles where the Gutter Helmet was removed. I took some pictures of these issues but it was night and hard to see. The next day I immediately called the corporate service number(The only number I had was from the contract from the sales person). I was told they would put in a ticket to the local office here in Virginia, which is in Fredericksburg. A couple days later I was contacted by that office and explained what was going on. They said they would let the installer know(I think his name is Mike) and that he would call me to schedule the appointment. A couple days later when I was at work, the contractor shows up with no call or appointment. I was at work but luckily my wife was home. She had us Skype and I pointed out some of the issues. He seemed courteous and professional to me. He explained that most of these issues were probably already there and I didn’t notice but that he would take care of it and make it right. He said he would be back the following day when we were expecting rain to see for himself and would be back on the weekend to make the repairs. Those days come and go and he doesn’t call or show up. The next week, I place another call to the service number to follow up. Once again they said they would let the local office know. They would not give me there number to talk to someone directly. That was two weeks ago and I have yet to hear back from anyone. We are disappointed in the lack of professionalism and follow through we have received from this company. We are now having other roofing and gutter contractors come take a look and estimate how much it will take to remedy the situation. At this point, we do not want LeafFilter back to cause more damage. This review is only to notify others that even though a product may be good, if it is not installed properly, it is not a good product. Preferred solution: Full refund plus costs to cover damage. Review #549057 is a subjective opinion of User549057. 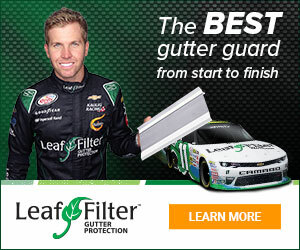 i hAve had LeafFilter on my home for about 3 years now and my dad has had it for also a year now and it seems to work perfectly fine on my house. I have called in a service request twice since I have had this on my home just to have them come out and clean my splash guards. You have to spray off the screens??? Doesn't sound like a permanent solution. I agree. What in the heck did you spend all that money for a "self cleaning system" if you STILL have to clean it? That's ridiculous. That's not what they advertised and that's not what you paid for.